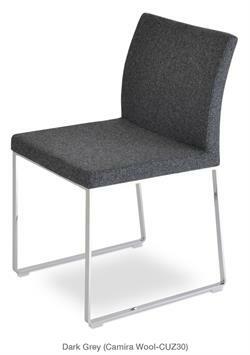 Aria Sled Chair aka Aria Slide Chair is a modern design dining chair or office chair with a comfortable upholstered seat and backrest on chrome or stainless steel legs which are plastic tipped. 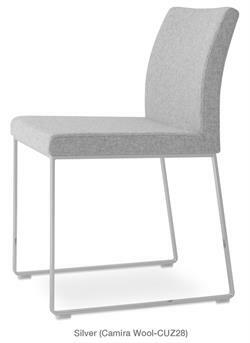 The Aria Sled Chair seat has a steel structure with S shape springs for extra flexibility and strength. 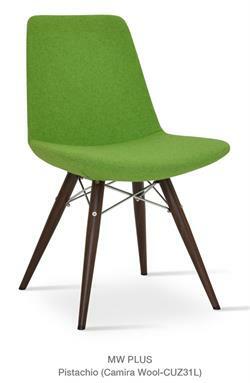 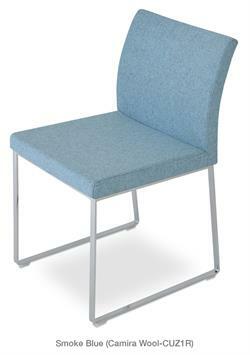 Aria Sled Chair seat is upholstered with a removable leather, PPM or wool fabric slip cover. 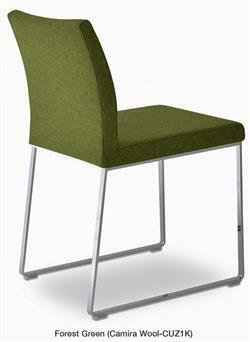 The Aria Sled Chair by Soho Concept chairs is suitable for both residential and commercial use as a dining chair, restaurant chair, side chair, office chair, lobby chair, hotel chair, conference room chair. 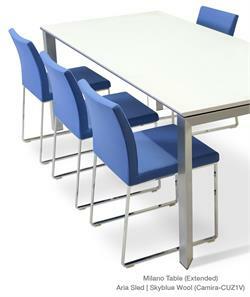 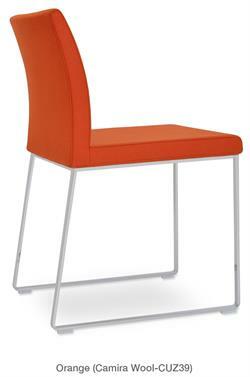 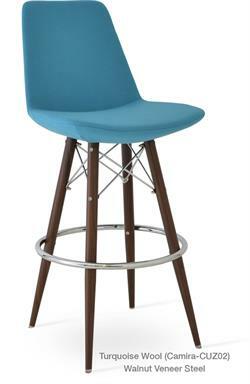 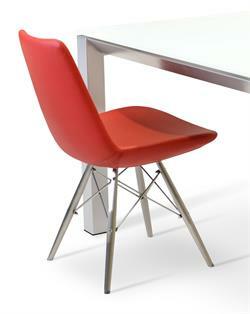 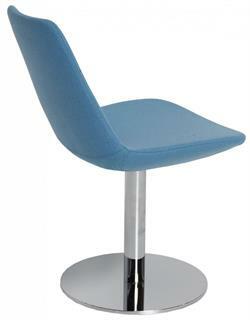 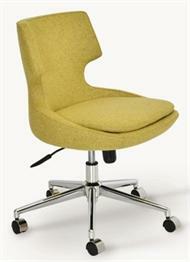 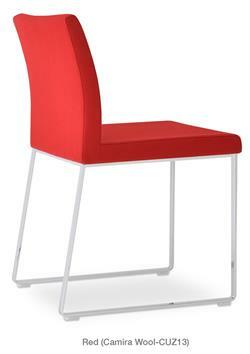 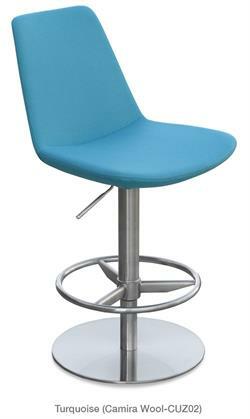 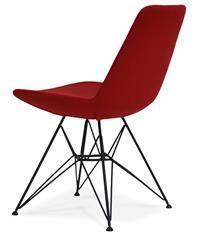 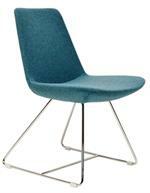 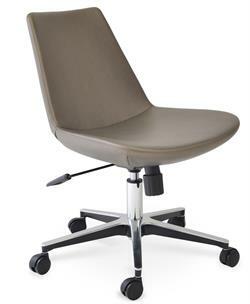 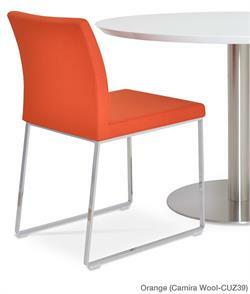 Aria Sled Chair: H 31" W 17" D 21" Seat H 18"
Accurato is an authorized dealer of Soho Concept Furniture products. 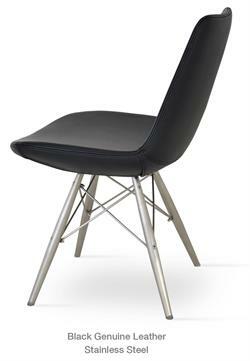 We carry the FULL line of Soho Concept dining chairs, lounge chairs, commercial chairs, contract chairs, hospitality chairs and more so call or email if you don't see what you are looking for.